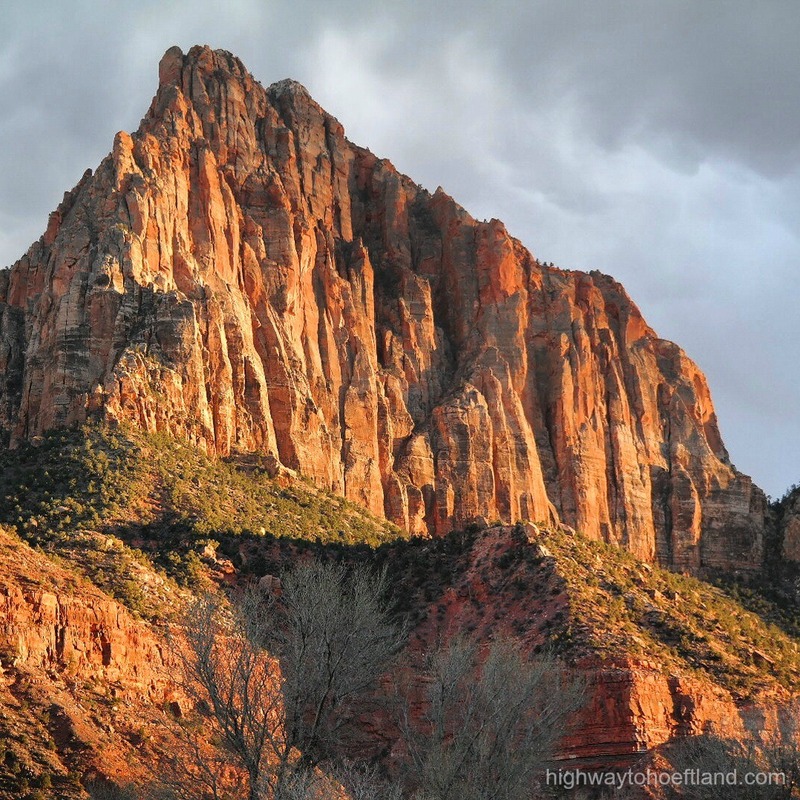 Driving past the gates into the Zion National Park in Utah had us stunned. Zion, with various rich colors in the soaring, abundant mountains that tower over everything and everyone, a rushing river along the clay colored roads, and the beautiful starry sky above—is truly spectacular. It’s no wonder that this is one of the most visited national parks in the United States. 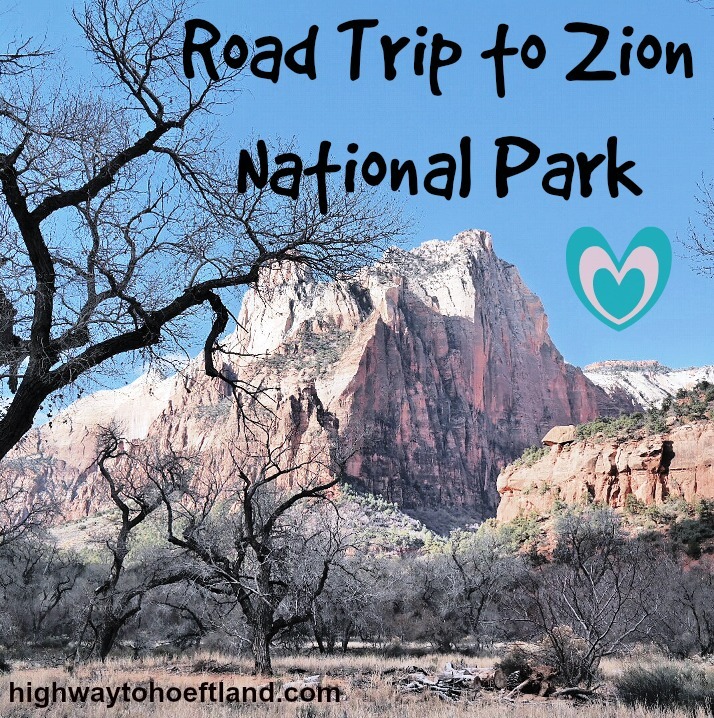 We had not planned to visit Zion National Park. It was a Saturday, around 11:30am and we were trying to figure out something new to do for fun. We often get ants in our pants, and this weekend was no exception. Mike turned to me and said, “We haven’t been to Utah yet, why don’t we take a short road trip and see what Zion National Park is like.” I gladly replied, “OK, sounds like a plan!” Therefore, we quickly packed a small bag of overnight items, grabbed our dog Jet, and headed out on our road trip. We arrived just before sunset, as the golden hue from the light of the sun was setting over the park. We paid the twenty-five dollar fee per vehicle to get into the park and drove to the visitor center, parked there, and got out to get oriented and stretch our legs. Just as we exited the truck, and we could feel the fresh cool February air, packs of deer were crossing near the parking lot. 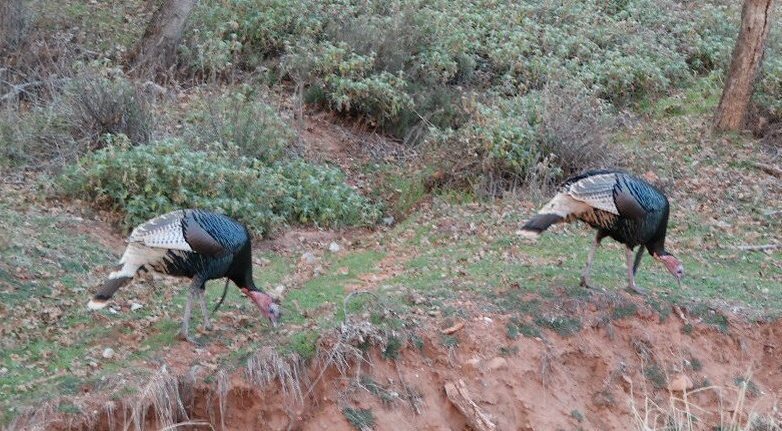 Later, wild turkeys were pecking their way through some vegetation along the road. It became clear that this park has an abundance of wildlife, scenic nature, and enchanting sights unlike any other. Very close to the visitor center, and within walking distance, is an easy and beautiful trail that visitors can take their dogs on. It’s called the Pa’rus trail and it receives very high reviews on sites like tripadvisor. We were not disappointed—what a pleasant trail indeed. 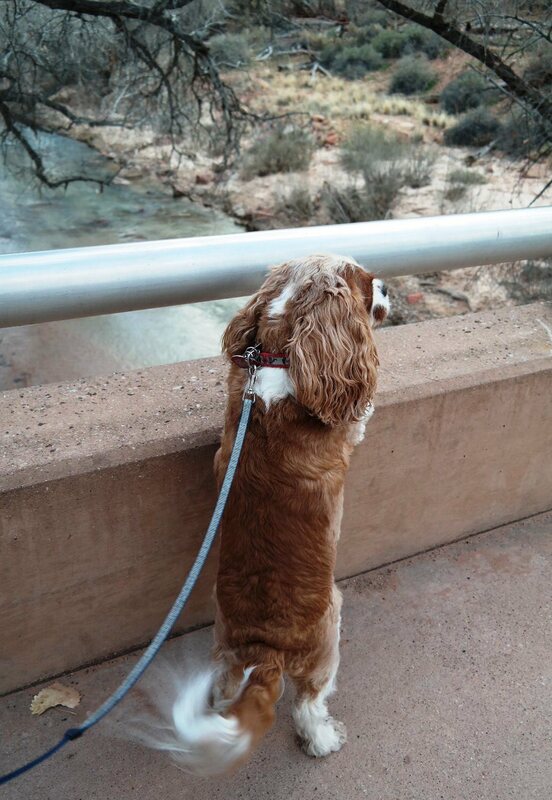 We took a leisurely walk together beside a picturesque creek. However, the sun was setting fast, and so, we decided to leave the park and look for a dog friendly hotel, just outside of Zion. We would return in the morning. We chose to stay at the La Quinta hotel. It is one of the prettiest La Quinta’s I’ve ever stayed at, as it backs up to the mountains, in the small, adorable, and charming resort town of Springdale. We paid a total of $99.00 for one night’s stay, and we didn’t have to pay any extra fee for having a dog along with us. Happily, it also had grass and doggie bag stands for their four-legged fur guests. The rate also came with free hot breakfast and Wi-Fi, so we were pleased with our night at La Quinta. It would also be a nice place to stay for any guest, not just for pet families. There appeared to be many other nice hotels in the area as well. We had Oscar’s for a delightful dinner and we stopped by a local mart up the street for some local Utah beers. Then we settled in for the night. 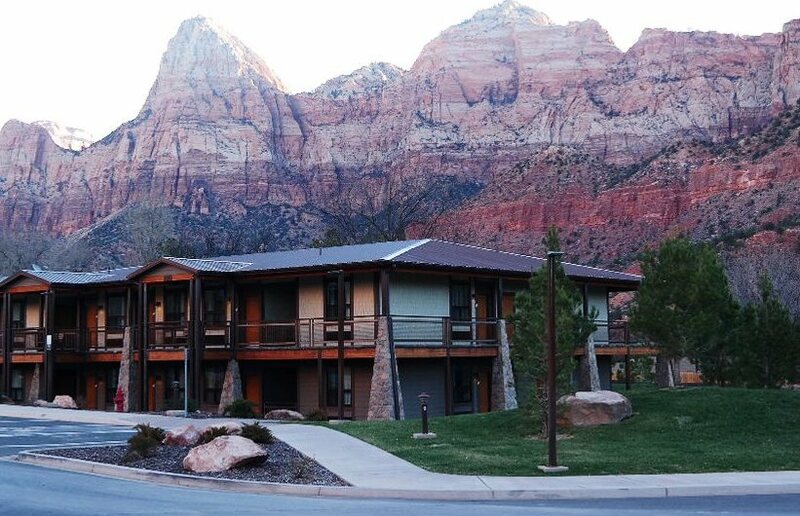 We were pleasantly surprised to find all of our needs met—food, shelter, groceries, and gas—all literally right outside of the gates of Zion National Park. It is a convenient set-up. What a nice surprise as we didn’t know that such a lovely little town would be right outside of the national park. The next morning, we headed out for another remarkable drive through the national park. Because we had previously paid to get into the park the evening before, we did not have to pay a second time; the pass lasts for seven days. Driving through the park in the crisp and beautiful morning, once again, we were in awe. 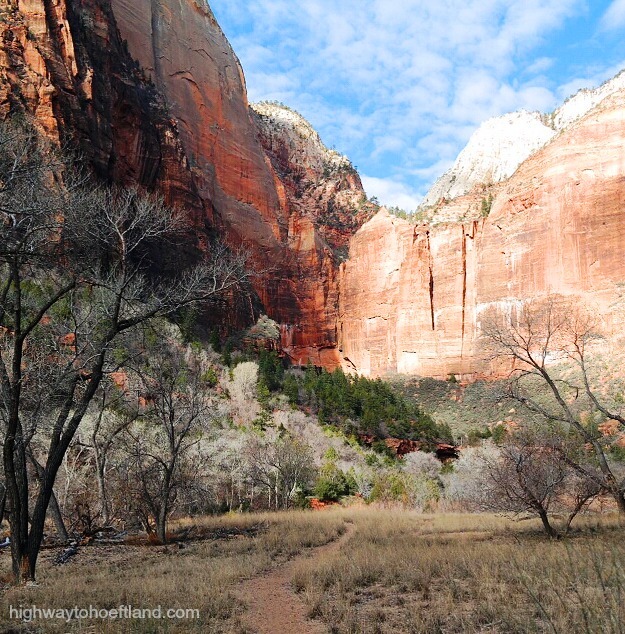 Zion is one of the most majestic national parks we have ever seen. The area feels almost dreamlike. We are glad we got the chance to experience its splendor. There are so many wonderful hiking areas with trails leading to unique sites; as well as many other activities to enjoy: backpacking, bicycling, birdwatching, camping, canyoning, climbing, horseback riding, ranger-led activities, and river trips. 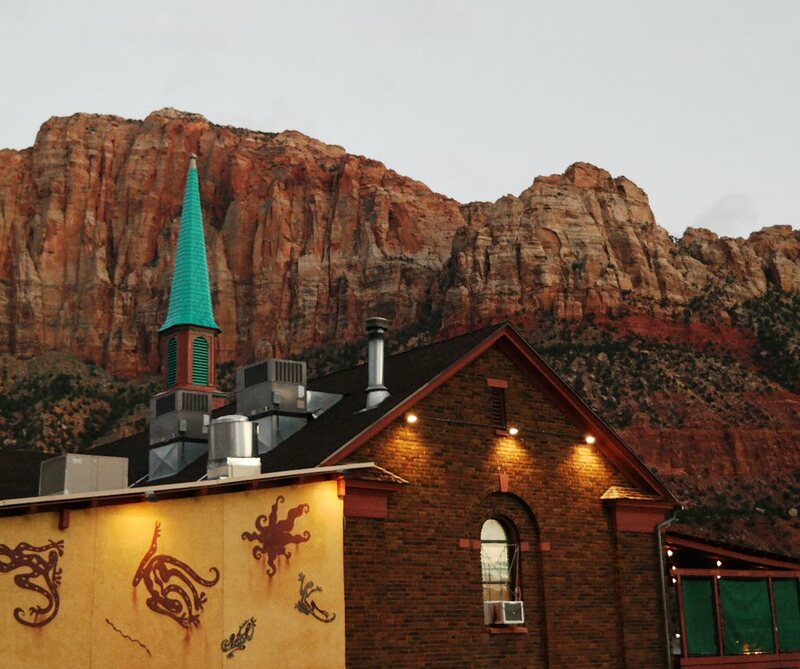 To learn more about Zion, their shuttle schedules, and hours, here is their website. We look forward to visiting the park again in the near future. Zion is an amazing place. We agree! We are already wanting to go back. Love Zion. It is different from Bryce Canyon, another great Utah park,. but both are beautiful in their own way. 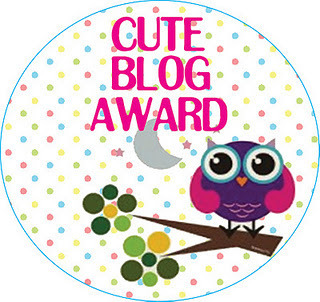 Great photos and blog Kristin! Thanks Sharron! We’ll have to check out Bryce Canyon soon as well. Hi Kristin – You’re goals for 2015 included taking your Casita to Zion National Park, so I’m wondering why you opted to stay in a hotel instead. Hi there, The trip to Zion was a last minute decision on a Saturday afternoon. We didn’t feel we had time to prepare the Casita for a camping trip that time. Plus, sometimes we like staying in hotels, even though we enjoy the Casita a lot too. 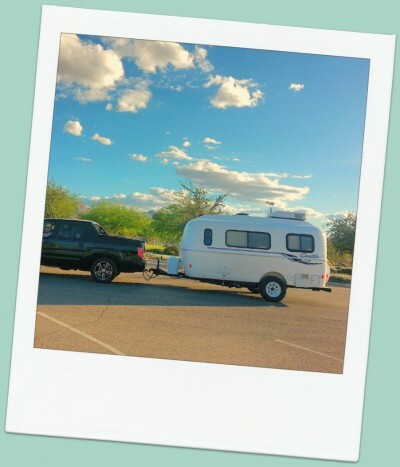 We have another Casita camping post coming up next week. Thanks for your question.